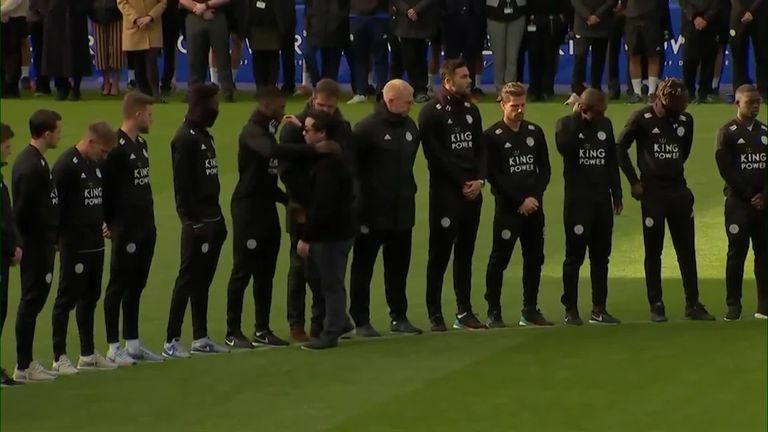 Riyad Mahrez paid an emotional tribute to Leicester owner Vichai Srivaddhanaprabha after scoring the winner for Manchester City against Tottenham on Monday. Srivaddhanaprabha was killed in a helicopter crash on Saturday evening along with four other people. Mahrez was signed by Leicester in 2014 and was a key player as they won the Premier League title in 2015/16. 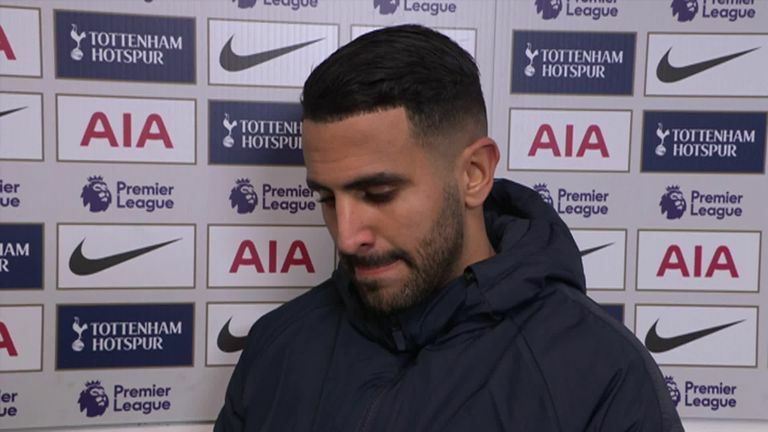 Speaking after scoring for Manchester City against Tottenham, Mahrez told Sky Sports: "It's been very difficult for me. The boss [Srivaddhanaprabha] was very special to me. "I spent four and a half years there and have many memories with him. He was such a good person and such a good human so I am very, very sad, that's why today when I scored I put my hands in the sky for him because he did a lot for me and for Leicester. "It's difficult to speak about it because it's very sad. "He was like a dad for us. He was very special. He was such a good person, with a very big heart and it was heartbreaking and shocking for me to hear the news, of course with all the other people who died. "It's a difficult situation and I am with Leicester and the families of the victims." Asked when he decided he was going to play against Tottenham, Mahrez said: "I always wanted to play. I know he would have wanted me to play. "He was very passionate about football. It was difficult. I kept thinking about him. It was difficult to sleep."